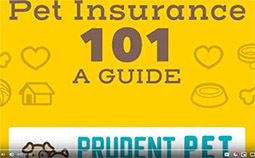 Looking for the right Norwich terrier to become the newest member of your family? You came to the right place! At Vopelak Terriers we have beautiful Norwich Terriers For Sale. We found the Terriers to be cute, very intellligent, hardy, easy to train, and very good with our three children we were also raising on our farm. Since we only have a small group of dogs, and with most of them being our pets, we can devote much more attention to the Norwich pups making them very well socialized before they leave for their new homes. For those who are sensitive to fur, these terriers; Norwich make great pet companions as they are non-shed hypoallergenic breeds and require very little grooming to look great. Raising terriers with honesty and integrity for nearly 35 years. Started Paper Training/Pottying outside (weather permitting). This makes transition easier for house training. We chose the Norwich terriers because we wanted only the best. We looked for a dog that lives long with very few health problems such as allergies, or skin conditions. 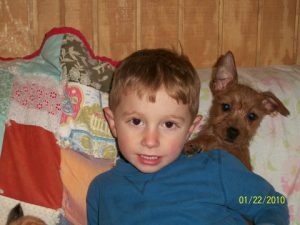 Norwich Terriers are a hardy breed that are good with children, and easy to train. Their size makes the terrier easy to handle, therefore making them easy to live with and to travel with. Have allergies? Because the terriers are a hypo-allergenic (non-shedding) breed, they are great for people with allergies so they can enjoy them without the side affects. Originating back to 17th century Scotland, the Norwich terriers were bred as horse stable and barn dogs. It is said that the terriers are also very intelligent and alert dogs so they make great watch dogs! Due to new law changes, Vopelak Terriers are no longer able to ship puppies on the airlines. 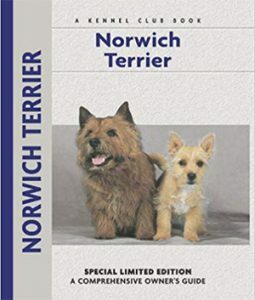 Please feel free to contact us for information on the Norwich Terrier breed, our litters and to see how you too can become the proud owner of one of these beautiful dogs. 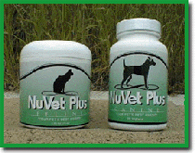 Our Motto: Happy, Healthy Pups! A dog is medicine without the side effects. Vopelak Terriers is an AKC Inspected Norwich Terrier Breeder. Just to let you know Pooh Bear (aka Maverick) will be 16 months on Christmas Day. He is the most fantastic dog! He is sweet, smart, rarely barks – and the love of our lives. His best friend is our black kitty “Jet” – and he loves all people. People are amazed at how friendly he is without being obnoxious or ‘jittery’ like some small dogs. We will definitely get another Norwich from you someday down the line. We are loving our new puppy. He really is perfect. Thank you for a beautiful puppy. Sadie has a nice top line and head. Her movement is excellent. Her attitude is just right for the show ring. She wants to play all the time. I know the new little boy will be just as nice. We are going to call him Stormy.